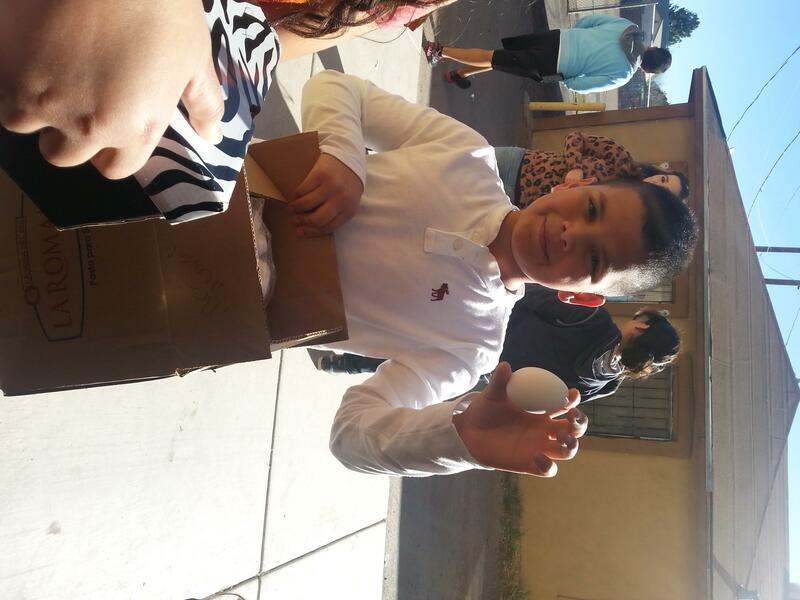 Fifth grader proudly displays egg that survived the drop. Students in grades 5-8 who attend the Douglas campus of CAS Middle School have recently excelled in exploratory learning and educational trips. Mrs. Alvarado’s and Mrs. Peraza’s fifth grade classes conducted an elasticity experiment with eggs constructing differing surrounds which would help the egg survive a drop off a 20-foot structure. Students then had the opportunity to test their theories with an outdoor egg drop. 6th graders pose beside their research posters. The sixth grade classes also continued with project-based learning in their research projects. Students researched famous inventors such as Alexander Graham Bell and George Eastman Kodak. Later, they recreated famous inventions so that the students could see what they looked like. All of the sixth grade students in Mrs. Robles’ science classes have been working hard on this project for the past two weeks, and projects are now on display for all students to see. 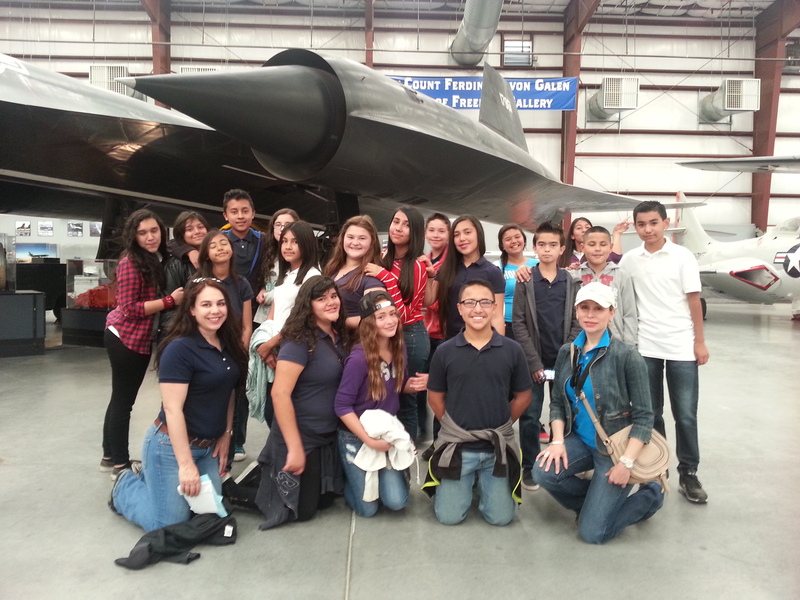 Finally, the students in Mrs. Gonzalez’s and Ms. Paredes’ 7th grade science class went on a field trip to the Pima Air and Space Museum. The students learned about the evolution of flight and were able to walk around and look at various types of airplanes. They saw planes that have been in various wars, as well as space. They also toured to the Airplane Boneyard viewing hundreds of planes that were previously engaged in military efforts around the globe.